Professor in Paediatric Rheumatology at UCL (Institute of Child Health) and a Consultant at Great Ormond Street Hospital (GOSH). 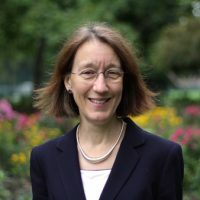 Lucy Wedderburn is a Professor in Paediatric Rheumatology at UCL (Institute of Child Health) and a Consultant at Great Ormond Street Hospital (GOSH). She trained in Cambridge and then London in Immunology and Rheumatology and then spent time training in science in the University of Stanford, USA, before returning to University College London (UCL) and GOSH on a Wellcome Trust Fellowship. She has been at GOSH for more than 10 years as a consultant. Professor Wedderburn’s areas of interest include childhood arthritis, which is also called Juvenile Idiopathic Arthritis (JIA) and childhood myositis, also called Juvenile Dermatomyositis (JDM). She has a regular clinic where she sees children with arthritis and a range of other rheumatology conditions. She runs a research team that investigate the mechanisms and different types of these diseases, as well as what controls response to treatment. She is the Chief Investigator of a large cohort study in JDM that includes centres from across the UK and is now the Director of the newly established Arthritis Research UK Centre for Adolescent Rheumatology at UCL, UCL Hospitals and GOSH. Dr. Chiara Bacchelli lead a group focused on Translational Genomics and Stratified Medicine at UCL Institute of Child Health within the Centre for Translational Genomics – GOSgene. Funded by the Great Ormond Street Hospital Biomedical Research Centre of the NIHR, GOSgene opened in February 2010 to facilitate rapid gene identification in uncharacterised rare genetic diseases as part of the ‘Molecular Basis of Childhood Disease’ Theme. Her work and interest in genetics began during my PhD working on rare congenital disorders with Professor Peter Scambler (Molecular Medicine Unit, ICH). She then worked with Professors Bobby Gaspar and Adrian Thrasher in the Molecular Immunology Unit (ICH) on the genetic characterization of primary immunodeficiencies. After a period at the Institute of Cancer Research working in the Section of Cancer Genetics lead by Professor Nazneen Rahman, she returned to UCL to facilitate the formation of GOSgene. 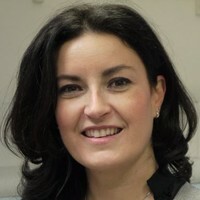 During the course of her career Chiara have acquired a vast repertoire of molecular genetic techniques with focus on disease gene identification through linkage analysis, homozygosity mapping and next generation sequencing. Her current work in GOSgene focuses on the use of exome and whole genome sequencing approaches coupled with advanced data analysis to deliver diagnostic tools for rare diseases. These will be tools for gene identification in affected individuals to help improve diagnostic testing, genetic counselling, family planning options, prenatal service development and personalised healthcare. Her two main research areas of interest are rare diseases research and developing strategies for delivering stratified and precision medicine. 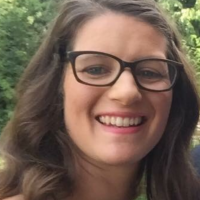 Emily is the training facilitator for Translational research and the EUREKA institute across the three UCL NIHR Biomedical Research Centres, UCLH, GOSH and Moorfields eye hospital. In this role she supports the London Apollo society as well as putting on a variety of translational research educational events across UCL. Emily has a background in health and exercise science research, as well as working a clinical respiratory physiologist. Working in a range of research environments , both conducting and supporting researchers in NZ, Canada and the UK she has seen the importance of successful translational research and is passionate about bringing education to support researchers across their own journeys.